Pebble Time Round, the “world’s lightest and thinnest smartwatch,” arrives at retail stores this Sunday, November 8 for $250. Online orders will also begin shipping, as well as the pre-orders from weeks ago when this latest watch from Pebble was first announced. As a recap on the Time Round, this is Pebble’s first round watch that still features an e-paper display. It runs Pebble’s watch OS, comes in a variety of colors (with different strap sizes), and is just 7.5mm thin with a weight of 28 grams. It’s easily their classiest looking watch to date. Early reviews for the watch popped up this morning, with most coming away with mixed feelings. Almost everyone said that it has an attractive design, but this Pebble ditches the week-long battery life and water resistance in favor of that design. With this new Pebble, you only get about 2 days on a single charge, which isn’t much better than an Android Wear device. Keep in mind that at $250, it’s also priced up there with Android Wear devices. The problem here is that Android Wear devices are arguably more powerful, have better displays that you can touch to navigate around, and have a massive app ecosystem at their fingertips. 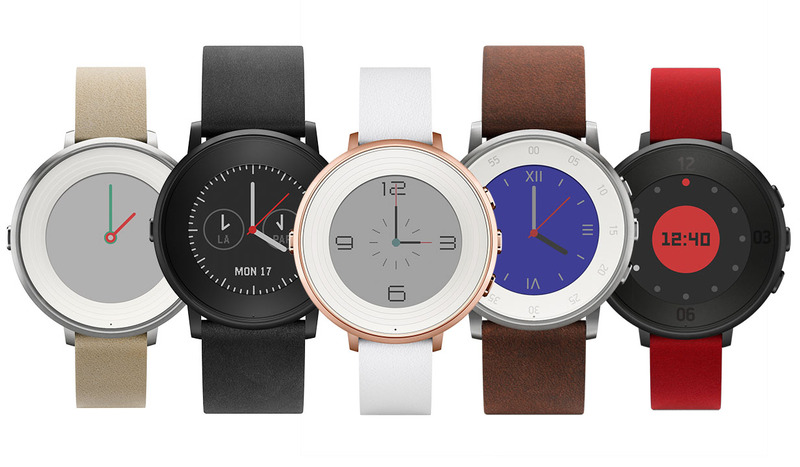 If you still want a Pebble Time Round, this Sunday you should be able to find one at your local Target and Best Buy. Android Distribution Updated for November 2015 - Marshmallow Debuts!